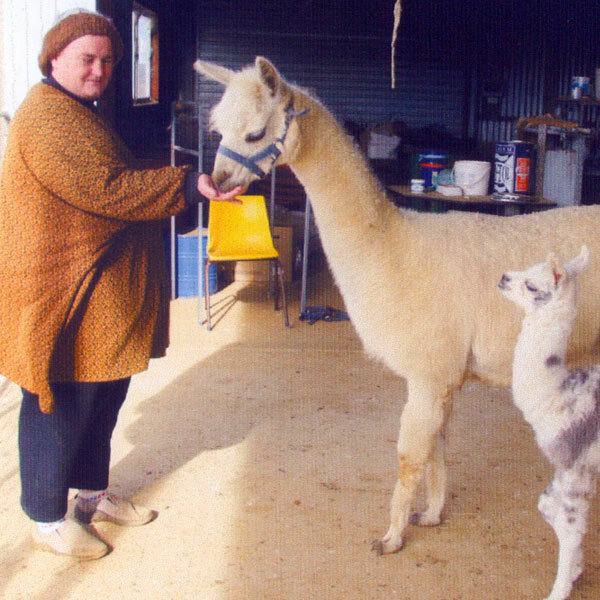 Glynda Bluhm, proprietor of “Alpaca Magic”, has been involved in keeping and breeding livestock since 1968. 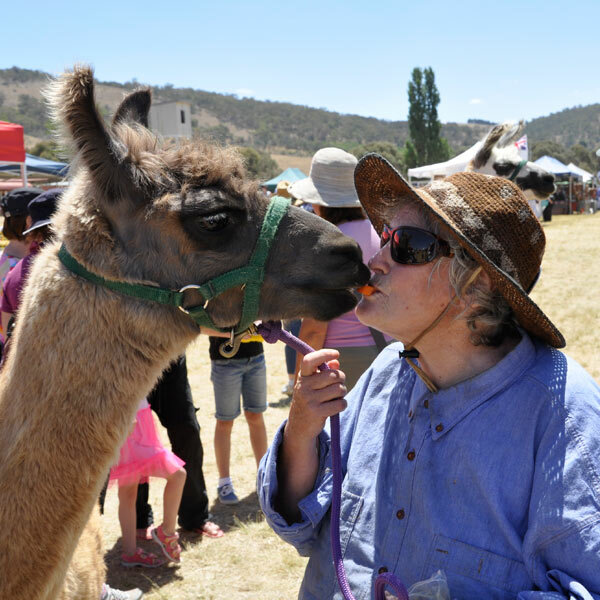 Glynda is a full-time farmer, allowing ample attention to the livestock at Alpaca Magic, whether owned or agisted (boarded). She has a sound knowledge of animal husbandry and management procedures including, feeding and nutrition, livestock selection, breeding, drenching, vaccinating, castrating, foot care, and is an experienced trainer, handler and stud manager. She has attended courses for farmers to improve their basic vet and management skills as well as courses in fibre production. She is a member of several Breed Societies, and was the founding member, Secretary and Newsletter Editor for the Southern Tablelands Dairy Goat Club for 5 years. She was successful on the show circuit and was appointed as a NSW GBS Inspector. She was the Registrar of the Donkey All Breeds Soc of Australia and the Secretary and President of the NSW Branch of the Llama Association of Australia. Glynda has an excellent working relationship with several local vets. She also provides hands-on training for Sydney University’s Vet Students via their Extramural Program. Glynda also has considerable experience with alternate therapies for both humans and livestock. With the wide variety of practical farm experience she has had since 1968 many clients ask her to provide Farm Consultancy skills when setting out their farms. Glynda has trained as a Life Coach and she uses these skills to encourage the best outcome for clients new to farming or to animal ownership. Glynda’s other main interest is music. As a classically trained soprano soloist, she has had considerable success at many Eisteddfodau, has produced 4 cassettes and is often requested to sing at weddings, funerals and other events.